Rambling Rican: Sasuke related updates + Nagano baby watch! Everyone knows I've been doing this baby watch for Nagano before.. er.. twice.. so here it is again! Nagano Baby Watch™ alert! 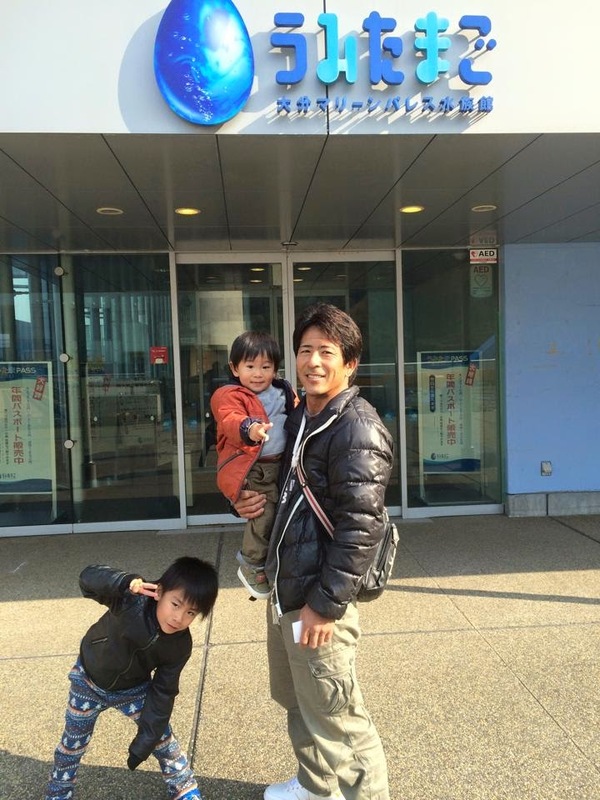 Sasuke Legend Makoto Nagano 長野誠 and his wife Asami 阿紗美 are welcoming their 3rd child soon™! (Rumor is April but not sure) As you know, they have two sons together. Taiou 太皇 was born June 16, 2013 and Kaiou 塊王 was born June 6, 2009. This also explains why Asami hasn't been photographed lately! I hope for a safe arrival of the new Chibi Nagano™! (Taiou's delivery scared me a lot so I pray for an easier delivery) I can't wait to welcome a new addition to the Sasuke All-Star Family!! 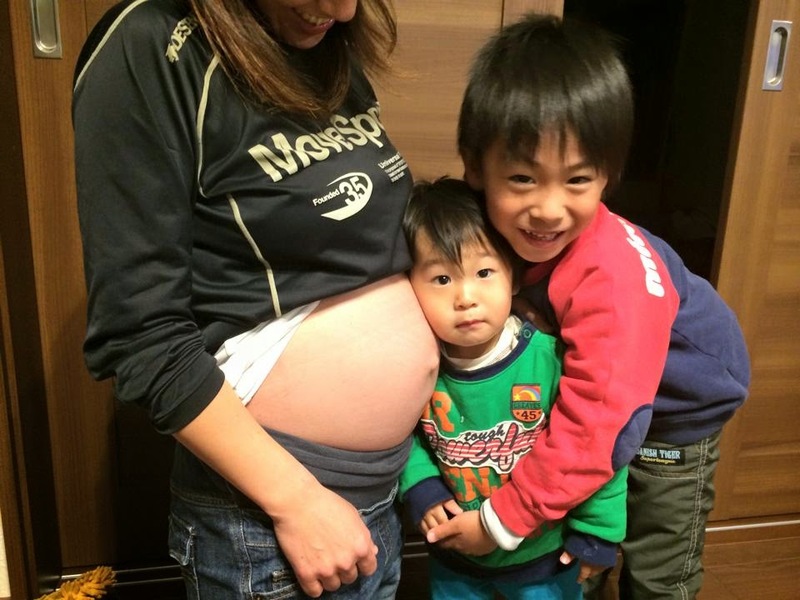 Unsure if by the time I get to Japan I will have the chance to meet the new Nagano baby. All I can say is that if the rumored due date is correct, it will be before the tournament. Funding as of February 6, 2015. Speaking of my trip to Japan, I wanted to confirm that I'M GOING TO JAPAN! I mentioned before that someone is paying for my airfare so that is now official! I'm now raising money in a new campaign to function while there. This pays for food, hotel and transportation. You guys have been awesome by raising more than 50% in something like 14 hours! LOL Thank you so much for your support! As I mentioned as well on the site and on the video, I plan on getting more 2015 Sasuke T-Shirts (before the tournament) but remember to include shipping with the contribution. I'm honored to be able to fulfill this particular perk but it's also eating into my overall budget! I need to be able to sleep, eat and travel for a week in the most expensive city in the world.... Unlike the original campaign, this one is a flexible fund now that the airfare is secure. I will be going to Japan regardless of whether or not I hit the goal. That said, I'd reaaaaaally prefer hitting the goal. 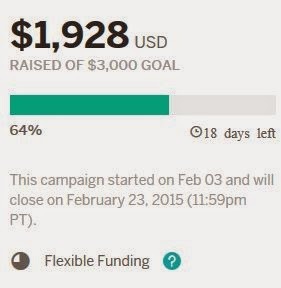 Please pass the news along and hope we reach the goal! I can't wait to write all about the trip! I'm totally having kittens right now! I am so jealous of you. But also super happy for you! I'm sure it'll be an amazing time!! 1. Congrats again to the Nagano family! Considering when the new Nagano's older siblings were born, I wouldn't be surprised if Asami gave birth around June again if the rumor of when she's due turns out to be false. I hope you have a really great time over in Japan, I myself cannot wait to go either, as I am going there in September. Hey Jenn! LOL another June baby would be epic :D Fundraiser is doing quite well! Plane tickets are being worked on and should have them by this week. And currently at 83% into my goal so just 17% left! Giggles. Thanks :) And sure! PM me on SMF and I can send you my email if you want that instead. Thanks!